Bullet Lethality: Do You Have Enough Bullet For The Job? Home Gear & Ammo Ammunition Ammo: Is Your Hunting Bullet Lethal Enough? Bullet lethality is defined by how much damage it does and how much energy it dumps once it reaches a target. How do new bullets measure up in these departments? In hunting, how much damage a bullet does is more important than its toughness. A bullet that sheds weight and deforms chaotically causes more damage. Conventional mono-metal bullets dump about 50% of their energy in the first 8 inches. Traditional cup-and-core and lead core dump about 80%. Somewhere along the way, the notion that you can decipher a bullet’s lethality by weighing, measuring and looking at it after you pull it from a dead animal became common practice. Pragmatically speaking, there’s no logic to support this conclusion. In fact, trying to equate the lethality of a bullet to its recovered shape and weight is about as precise as looking at a turd and trying to divine what someone had for dinner. Bullets matter, but what matters most is the damage they do, not their ultimate shape. Hunters and gun writers often get too caught up in the advertising hype of manufacturers. And then too, by exercising what might seem to be a reasonable deduction, we assume a bullet that is tough — one that holds together and sheds no weight — will kill better. Admittedly, a tough bullet sounds like a great idea; after all, we’re shoving it into an animal at velocities sometimes as high as 3,000 fps. It should be tough, right? The truth is we want the bullet to damage as much tissue as possible. That damage, not the recovered bullet, is the true measure of lethality. The Barnes Tipped Triple Shock bullet is robust and tough. It will retain all of its weight and penetrate deeper than most. However, because of its limited energy deposit, it will not damage as much tissue as what might be called “weaker” bullets. The point of all this is that hunters should evaluate bullets on how well they kill, not what they look like when we recover them or if they shoot through the animal. For example, I participated in a whitetail cull hunt in Texas. We were using .308 Winchester rifles loaded with 168-grain Barnes Triple Shock bullets. At the end of the first day, we’d killed 20 deer, but the hunters were complaining because none of the deer were falling down when hit. Granted, you generally expect a deer to run a short distance after the shot, but we should have had at least one “bang-flop” out of 20. What we were getting were 100-yard dashes into the pucker brush. One hunter had a case of Hornady Zombie Max ammo for range play. The next day several shooters switched to that load. (Zombie Max ammo is loaded with Hornady SST bullets.) We immediately started seeing bang-flops, like you would expect with high heart shots when using a .308 Winchester on whitetail deer. The question is, “Why were the SST bullets putting deer down faster than the Barnes Triple Shocks?” After all, the Triple Shock is a much tougher bullet and almost always deforms into a beautiful mushroom. The answer is really very simple and two fold. First of all, the lethality of a bullet is tied to the damage it causes, not its toughness. Because SST bullets shed weight and chaotically deform, they create a more violent wound cavity than the Triple Shock, which essentially just expands and pushes a hole through the animal. This violent wound cavity creates more hemorrhaging, faster. The other reason is a bit more scientific and one I tested and confirmed at the Barnes Bullets laboratory in Mona, Utah. We chronographed various bullets after they’d passed through 8 inches of ordnance gelatin. We found that a Barnes Triple Shock and similar mono-metal bullets only dump about 50 percent of their energy during the first 8 inches of penetration. A cup-and-core or more conventional lead-core bullet like the SST, Core-Lokt or Ballistic Tip will dump as much as 80 percent of its energy through the same distance. This energy dump results in massive tissue destruction and a serious shock to the animal’s system, often causing instant collapse. Hornady’s SST bullet is nowhere near as tough as a Barnes Triple Shock bullet. However, while it will not penetrate as deep, it is every bit as lethal. Notice I said collapse, not death. Death is a result of the brain running out of oxygen. However, when an animal goes down after a lethal hit, it’s much less likely to get up and run off before it dies. None of this is to suggest a Hornady SST bullet will kill better than a Barnes Triple Shock. All of the deer hit correctly with Triple Shocks ended up on the meat pole; they just managed to run a ways before realizing it was pointless. The Triple Shock is a very good bullet, but to deliver the bang-flop so many hunters like to see, Triple Shocks need to be pushed faster so they can dump more energy. On the other hand, sometimes hunters need that ultra-deep penetration the Triple Shock is so renowned for. A radical new mono-metal bullet designed by Lehigh Defense dropped this mature Vancouver Island black bear quickly, even at a moderate impact velocity. Lehigh Defense realized that mono-metal bullets could be more effective at moderate impact velocities if they shed some material and weight. This shedding helps the bullets dump energy and create wicked wound cavities. The Lehigh Defense Controlled Chaos bullet is a solid copper bullet, but it’s engineered to fracture and throw shrapnel as it penetrates. When the bullet impacts, the front section breaks apart, with particles being thrown from the bullet. However, the rear section — or shank — of the bullet continues to penetrate. This offers a good balance of lethality. It’s kind of a modern interpretation of the very lethal Nosler Partition. How do they work? I used a 185-grain Controlled Chaos bullet out of a .375 Ruger on a big Vancouver Island black bear. But this was a reduced load, launched at a modest muzzle velocity of only 2,600 fps. The bear ran only about 45 feet and dropped stone dead. My son used a 270-grain version of this bullet out of the same rifle, and loaded to the same velocity, on an African buffalo. That huge beast went to the ground in less than 45 feet. These bullets offer near conventional mono-metal-like penetration, with wound cavities similar to what you would expect from a cup-and-core bullet. And, they’re accurate, too. Not the prettiest mushroom in the woods, but it’s a deadly one. Hornady’s ELD-X bullet is lethal at 100 yards (left) and out to 700 yards (right). With its ELD-X line of bullets, Hornady took a different approach to lethality. And, like with the Controlled Chaos bullet, it has nothing to do with the recovered weight, shape or prettiness of the bullet. Hornady wanted to devise a bullet that was just as lethal at long range as close. The company’s answer was a conventional cup-and-core design with a lead core. The key to its performance is a heavily tapered jacket that will peel way back at close range, but not so much at long range. However, in either instance, you get a nasty wound cavity inspired by deformation and core erosion that creates extensive hemorrhaging. 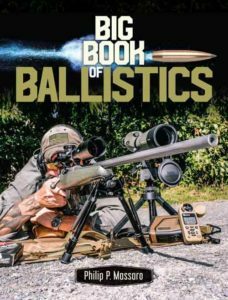 I’ve seen this bullet work just as well on big-game animals at 100 yards as at 600 yards — even though the core might occasionally work lose during penetration. (Contrary to popular belief, this is not necessarily a bad thing.) Not only does the ELD-X shed lots of energy when impacting at either distance, it shoots very flat and resists wind very well due to its high ballistic coefficient. During the recent Scout Rifle Safari I organized in Africa, more than 50 head of African game were taken with the 178-grain .308 Winchester Precision Hunter ELD-X load. I saw enough animals go down and enough guts and gore during that safari to trust the ELD-X. Federal’s new Edge TLR bullet is a mixture of a variety of design principles, in an effort to provide lethality at close and distant ranges. The tissue it damages will illustrate the true effectiveness of this bullet, not how uniform it deforms, or what it weighs after penetration. Another new bullet/ammunition from Federal is the Edge TLR. It’s another take on finding the best balance of lethality up close and at distance. By incorporating a deep hollow point cavity, capped with an aerodynamic tip, surrounded by a skived jacket that’s bonded to a lead alloy core, this bullet is presented by Federal as an ideal any-range big-game bullet. Unlike the Controlled Chaos and ELD-X bullets of Lehigh Defense and Hornady, the Edge TLR will likely deform into that perfect mushroom-like shape we’ve been convinced all recovered big-game bullets should exhibit. Because it’s bonded, it should also retain most of its weight. I’ve yet to shoot, hold or even see one of these bullets. Will it kill? I’m positive it will, but one thing’s for sure: My evaluation will not be based on whether it shoots through the animal or how pretty the recovered bullet looks or weighs. It will focus on the internal damage the bullet caused because that’s what really matters. Recovered bullets are not supposed to be pretty —they’re supposed to make animals go down quick, die fast and be easy to find.